State economic development officials have announced six upcoming workshops around the state to help develop and promote alternatives to the container shipping companies that have left the Port of Portland. 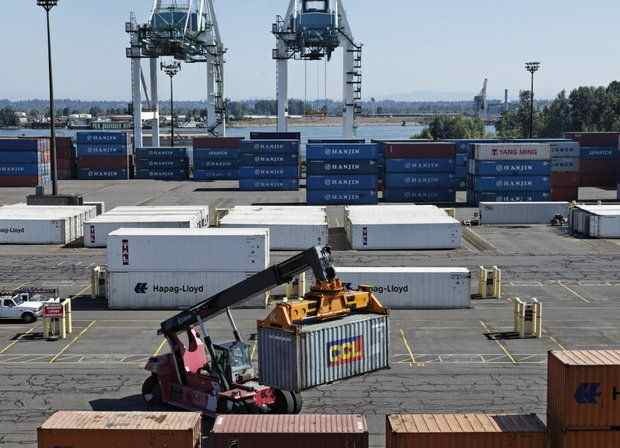 Although the port is continuing to try to rebuild its container shipping business, the workshops will allow Oregon trade-related business to discuss alternatives and help prepare bills to address the issue at the 2016 Oregon Legislature. The workshops begin on July 24 in Portland and end on Aug. 12 in Medford. They are being sponsored by Business Oregon, which is the state's economic development department, and the Oregon Department of Agriculture, the Oregon Department of Transportation, and the port. The two largest container shipping companies serving Terminal 6 -- Hanjin and Hapag-Lloyd -- announced they were pulling out several months ago because of an ongoing labor-management dispute between operator ICTSI Oregon and the longshoreman's union. No replacement shippers have yet been found. Around 6,000 Oregon firms export good or services, and almost 90 percent of which are small-to-medium sized businesses. They help support nearly 500,000 trade-related jobs in Oregon. Portland: July 24, 9 a.m. to noon, Sheraton Portland Airport Hotel, 8235 Northeast Airport Way. Redmond: July 28, 4:30 p.m. to 6 p.m., Redmond Technology Center, Southeast Airport Way. Hermiston: July 29, 6:30 p.m. to 8 p.m., Hermiston Conference Center, 415 S. Hwy. 395. Ontario: July 30, 6:30 p.m. to 8 p.m., Treasure Valley Community College, 650 College Blvd. Albany: Aug. 11, 6:30p.m. to 8 p.m., Linn County Fair and Expo Center, 3700 Knox Butte Road E.
Medford: Aug 12, 4:30 p.m. to 6 p.m., Inn at The Commons, 200 N. Riverside Ave.